Thinking of visiting the beautiful BVI? Hotels by nature will have many patrons; either staying in the rooms, dining in the restaurants, or sunbathing on the beach. A villa is like a home away from home. Therefore, they are generally located in quiet residential areas with fabulous views and beautiful surroundings. In most cases, villas are stand-alone homes. It means that you don’t have to share your space with other guests as you would if you were staying in a hotel. Hooray! You don’t have to share the pool, the beach, or the dining area! Your villa can become your ‘home away from home.’ Amenities that are only available at the most expensive hotels are standard in most villas; bedrooms with en suite bathrooms, fully equipped kitchens, pools, exercise rooms, entertainment centres, and even spas come as standard for your sole use. A villa offers the opportunity to gather larger groups all under one roof; a perfect chance for a family vacation, reunion, or possibly a gathering of friends that can enjoy each other’s company around the pool or the dining table in privacy. Villas are generally located in the most spectacular locations within the British Virgin Islands with fabulous views, possibly access to a secluded beach, and/or are surrounded by stunning gardens yet never too far from restaurants or shops. One major factor when choosing a particular villa is the design of the building. Villas designed for vacation rental guests usually have the ‘wow’ factor and exude a sense of rarity and exclusivity that is yours for the duration of your stay; a place with individuality, style, and personality. 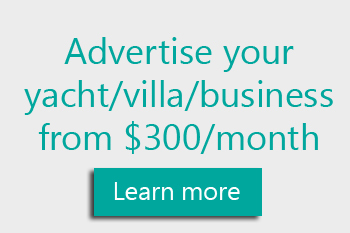 Dollar for dollar, a villa can offer a better return for your hard-earned cash. Having your own private house for a few days will give you the flexibility to save money and prepare your meals rather than having to eat out every night. On special occasions, you may want to hire a private chef to provide a truly spectacular dining experience in the privacy of your villa, but for the most part, the overall cost of a villa will be cheaper—especially for larger groups who would need to rent four or five separate hotel rooms. Guests also have the bonus of being able to share their holiday time with the people they know and love, all under one roof.